Have you ever read a book and afterward your heart felt numb? Perhaps, weak? 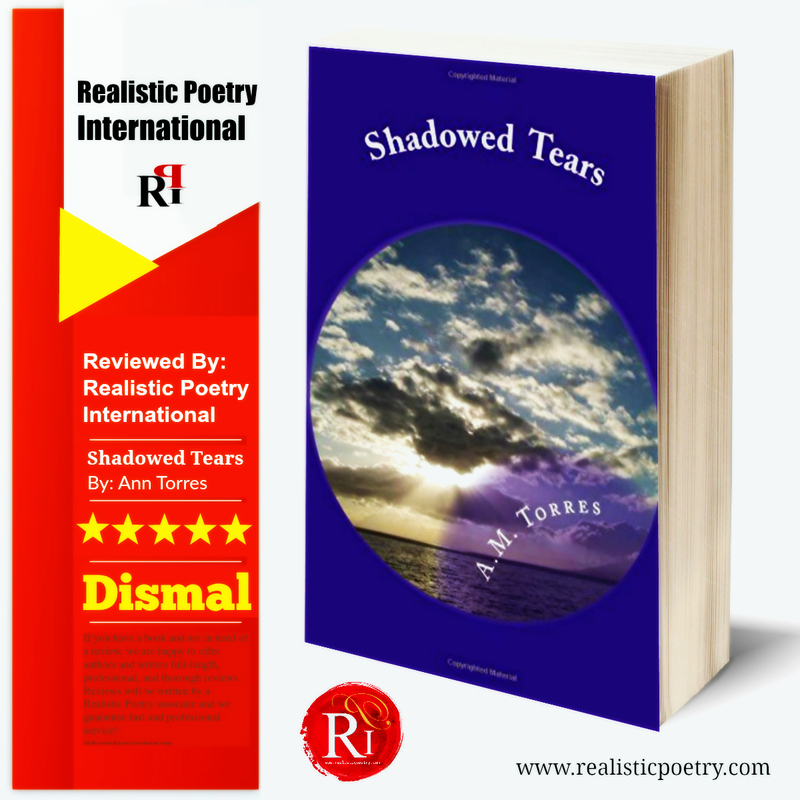 Well, the dismal and somber words of Author Torres in her emotive poetry book, ‘Shadowed Tears’, will literally transmit chills down your spine, but it’s not because of horror. For the title of the book in itself precisely describes the theme and mood of this emotional poetic composition in utter perfection. Like any human, heartsick and neglected, the character in this book yearns for a sunny day adorned with colorful bright rainbows, and seeks love to cure the psychological and spiritual sickness she is faced with; yet and still, with each verse you read, it is evident that hope and promise are swiftly slipping from her grasp, as she succumbs to the deception of defeat. Her weary voice, still youthful, indicates a certain degree of fear, but at the same time, an acceptance. Emotions and feelings that she writes about usually don’t make it any further than the pages of a diary, so even considering the incessant misery; it comes off as a bit shocking that she isn’t entirely ashamed to admit the dangerous vulnerability threatening her life and future or her deep sentiments of hopelessness. Continuing on, you begin to imagine the ‘mental prison’ that the author figuratively and metaphorically describes in several different ways. After reading one of Torres’s poems entitled, ‘The Outsider’, images of this obscure, cold “psychological prison” become more and more real, while her desperate cries for help are disregarded and unnoticed. It’s what’s meant to be...” to let you know she is beginning to accept the gloom ensnaring her. In this very statement, the contempt from humiliation and ridicule voiced in this poem illustrate a rather maleficent representation of an unfortunate reality. 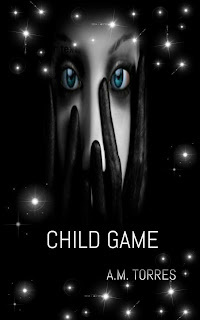 Nonetheless, the Author is fearless enough to acknowledge and confess her hazardous contemplations of ending her life. Even so, we believe that the individual overcomes the idea of defeat by continuing to go on, even if she fails to realize it, for she still lives to share her testimony today. In conclusion, aside from the actual theme and message of the book, this was a well-written concrete ensemble that reminds us all of why poetry is so influential. Whether the emotion be sadness, happiness, anger, or love; the authenticity delivered in every single poem of this book is purely undeniable. It was real, poignant, and strikingly candid; and we believe with confidence that Author Torres’s voice speaks volumes for an entire audience of exhausted souls. Though one may say to themselves, the contents of this book is merely just words on paper, we will say, that once you have truly taken the time to experience the void blackness of her night and inconsolable pain of her heart; the key to her freedom could only exists within the shadows of her tears.